To be sure, the full story of the 2016 Presidential race will be written over time, but to understand what it was to be on the front lines of one of the most divisive and corrosive campaign battlegrounds in history, listeners won’t find a richer, more thoughtful firsthand account than this one—a frank, refreshing assessment of the American dynamic and a clear path we might follow toward a more promising tomorrow. 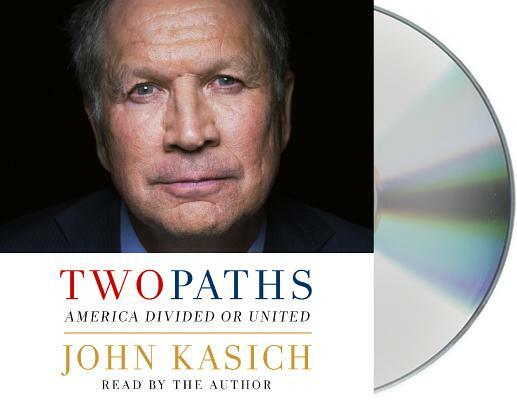 JOHN KASICH is the Governor of Ohio and a former U.S. presidential candidate. As a U.S. Congressman, he was Chairman of the powerful House Budget Committee the last time the budget was balanced, and he served for 18 years on the Armed Services Committee. His three previous books were all New York Times bestsellers: Courage is Contagious; Stand for Something; and Every Other Monday. He and his wife Karen have twin teenage daughters.